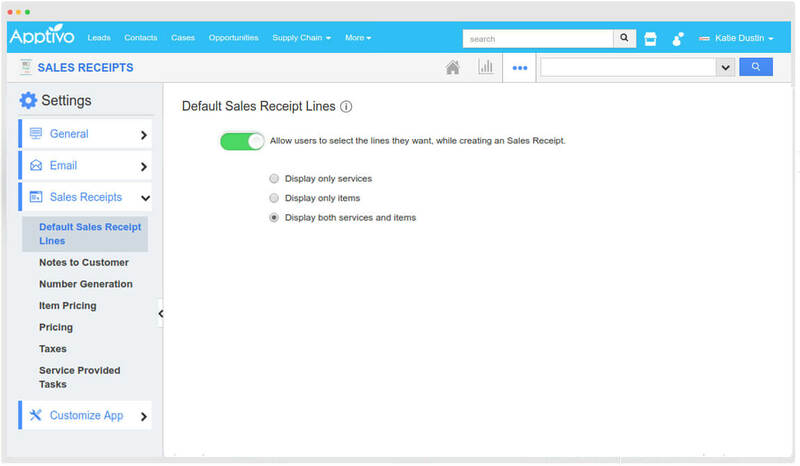 Record your Purchase transaction for your products/services utilizing Sales Receipts App. A facile free Sales Receipt software is used as a electronic note to make a record of your purchases made. 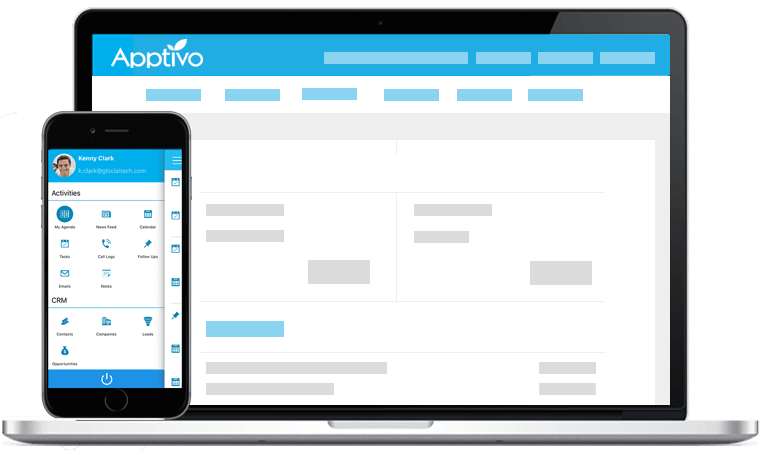 Create receipts at ease or initiate from various objects and record payment, Print your sales receipts and attach to your mail - everything using Apptivo Sales Receipts. 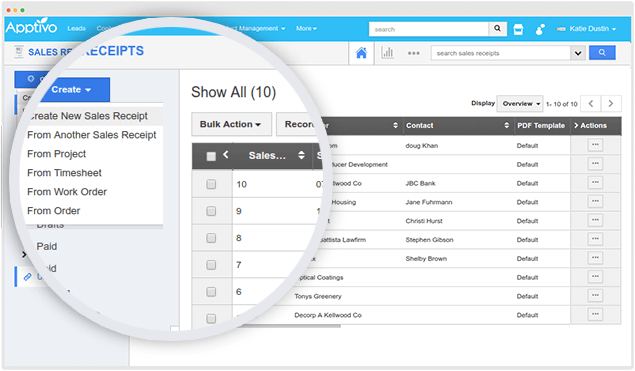 Allow users to select the type for which you want to create sales receipt. You can choose either services or products/items or both. 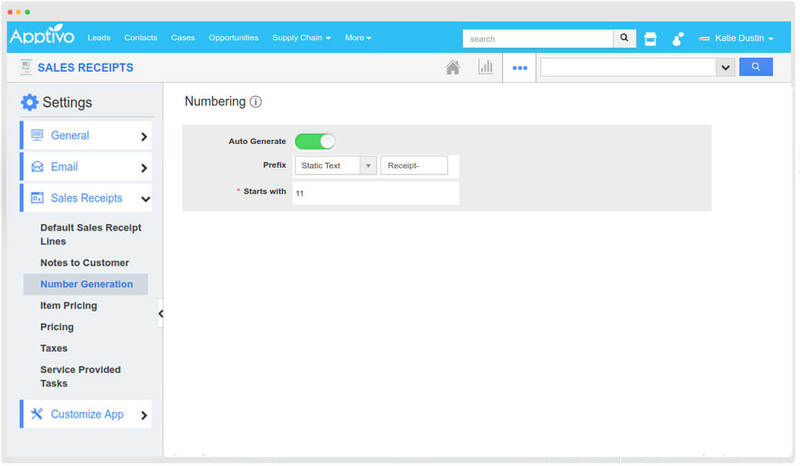 Generate an automatically increment receipt number for all your sales receipts created which helps you in easy identification and searching of particular receipts. Charge tax for the products or items and set a tax code for all the taxes created. 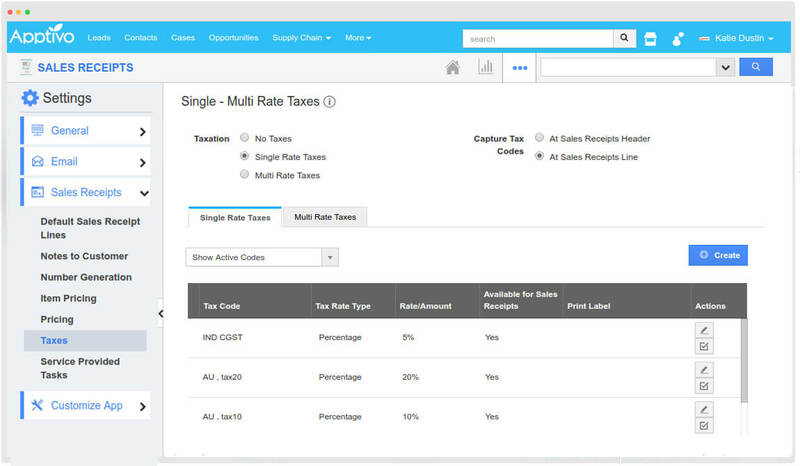 include your tax code for every sales receipt created. 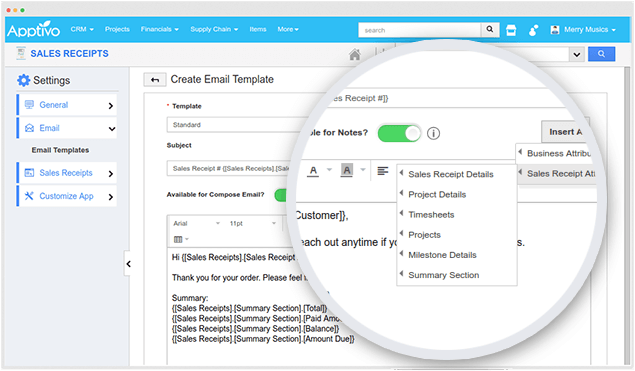 Either create a new sales receipt for the required products/items or initiate a sales receipt from Project management and order management. Customize your own email template which needs to be sent to your customers while sending mails saving your time on composing from scratch. 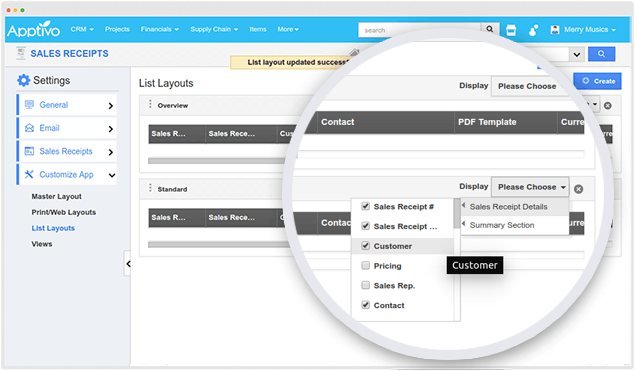 Bored of your current Sales Receipt layout then change the look of your page by contriving the layout with different custom fields and behavior changes.